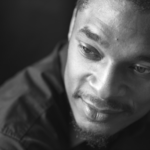 Terrance Hayes is a 2014 MacArthur Fellow. He was born in Columbia, South Carolina in 1971, and educated at Coker College. After receiving his MFA from the University of Pittsburgh in 1997, he taught in southern Japan, Columbus, Ohio, and New Orleans, Louisiana. Hayes taught at Carnegie Mellon University and the University of Pittsburgh before becoming a Professor of English at New York University. Hayes served as the 2017-2018 poetry editor for New York Times Magazine. He was guest editor of The Best American Poetry 2014 (Scribner, 2014), the preeminent annual anthology of contemporary American poetry. His poems have appeared in ten editions of the series. He has received many awards for his books, including a Whiting Writers Award for his first book, Muscular Music.